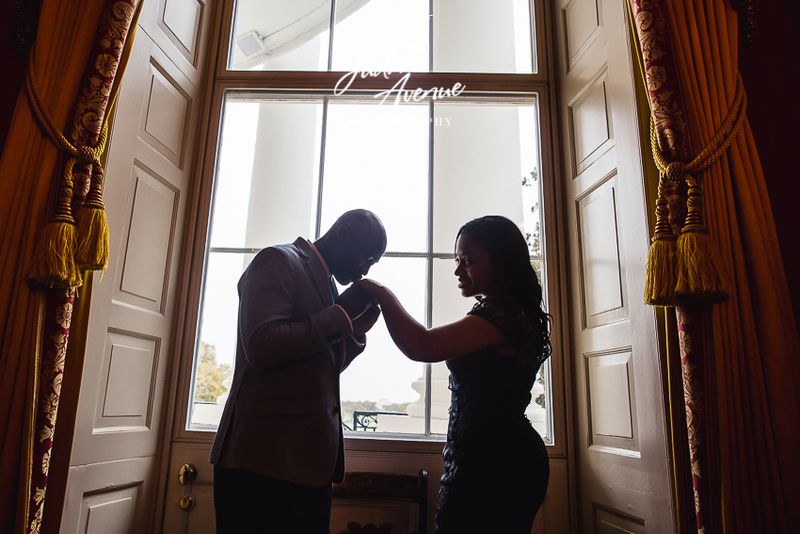 As exciting as it is to plan this epic event, there are definitely some things to consider from if you want your proposal to happen without a hitch. Tips from the professionals who made it happen at the White House! Surprise proposals, like the epic one our friend Orlando Morel planned for his soulmate, Shameeka in the White House, are quickly gaining popularity within the fairytale world of engagements. As exciting as it is to plan this epic event, there are definitely some things to consider if you want your proposal to happen without a hitch. 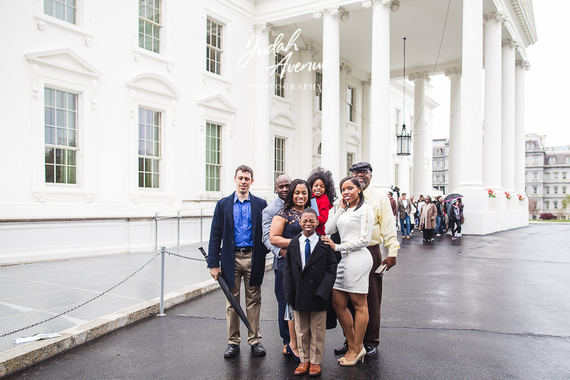 Maryland, Washington DC and Virginia wedding photographer Judah Avenue photography provided some helpful tips-some of them coming straight from Orlando's magical proposal. Take a moment and consider them carefully! After all, you'll only have one shot at making your surprise proposal perfect. 1. Remember, your partner might be anticipating your proposal. If you've had a lengthy relationship with your partner, you may have already discussed marriage a few times. If this is the case, your better half may already be expecting a proposal at some point. Don't let this discourage you from your surprise! Maybe plan an extended date -- like a long day at the beach, an evening that stretches deep into the night, or even a week's vacation. 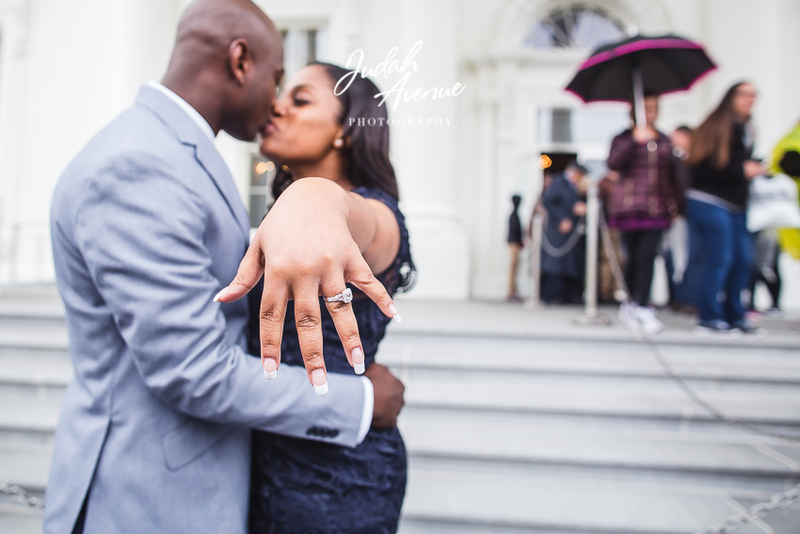 Create a few special, intimate moments that would appear perfect for popping the question, but withhold the proposal. Then, once your partner is on the edge of their seat and wondering if you're ever going to propose, finally pop the question that caused all the buildup! Although anticipated, you will have created a moment of happiness, love and joy. As it is in real estate, choosing the perfect place for a proposal is crucial. Nothing expresses love quite like a meaningful, well-planned environment. For example, our friend Orlando is a serviceman of the U.S. Coast Guard, and formerly worked as an aide to the president in the White House. Shameeka served in the National Guard and is currently a government contract specialist. So what better location was there for Orlando to propose to than the White House! When planning your proposal location, ask yourself: What types of environments are special and meaningful to your partner? Is there a place your soulmate has always talked about wanting to visit? Can you think of a special spot that's totally out of the ordinary - one that reflects the out-of-the-ordinary moment of your proposal? Wherever you propose, make it somewhere that shows your love and your heart for your partner. 3. On a budget? Don't let that stop you. Creativity is key when planning a surprise proposal. Whether you have $1,000 to spend or $10, you can make it memorable and beautiful. Do the two of you enjoy nature? Plan a hike with your partner, making sure you walk past a spot where you've already spelled out "Marry Me" in words made of colorful leaves and flowers. Love sweets? Plan a picnic and bring a cake with those magic words spelled out in strawberries on top. No matter your budget, just get creative. Be inspired, and be yourself. Love has no price tag! 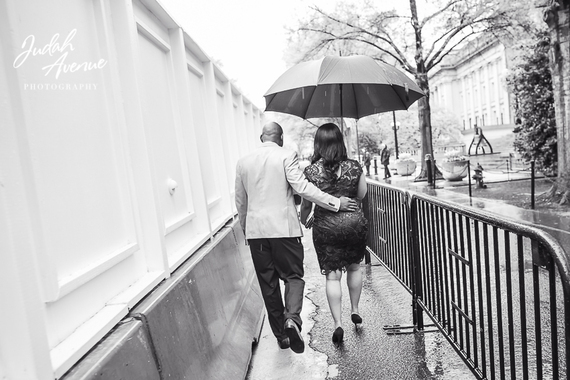 Wedding and engagement photographer in Washington DC, Maryland and Virginia Judah Avenue captured this image of Orlando and Shameeka as Shameeka walked into the White House, unaware that the course of her life and their relationship was about to change! 4. Just the two of you. Unless your partner has specifically said they want to share the very moment you become engaged, and do it in front of an audience, keep it personal and intimate. It might seem like a great idea to propose in front of family at Christmas, or at that Yankee's game you've both been waiting for, but that may be a total backfire. If your soulmate isn't quite ready to say yes, or wanted the two of you to discuss some things first, being in the spotlight could cause embarrassment for you both. Chances are, by the time you're proposing, this won't be the case. But life happens! For the love and protection of you both, it might be best, and more romantic, to keep it between the two of you. After all, isn't that who it's all about? 5. Keeping it a secret from your partner. 6. Arranging for your partner's family to keep everything secret. Planners of surprise proposals often wonder how to approach their partner's family. When seeking their family's blessing, make sure they know right away that your plans are 100% hush-hush! Most of the time, you'll find that their family is happy to oblige, and they'll be excited to see the event unfold. Appeal to their human side and let them know you are trusting them. In Orlando's case, this meant driving all the way to New Orleans from Washington D.C. to ask Shameeka's family for her hand in marriage. 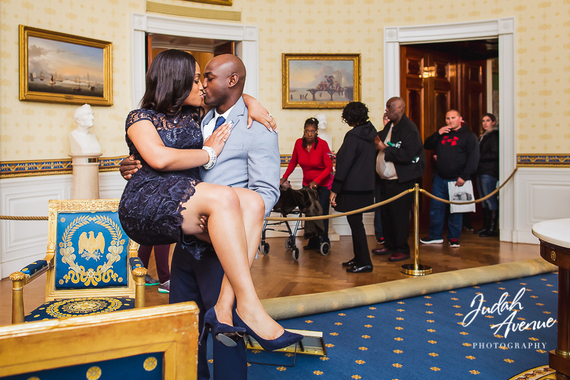 It takes amazing things like this to make an amazing proposal happen! 7. If your partner's parents are divorced, treat both sides with respect. When your partner's parents don't live together, keeping them in the loop and getting them to keep everything secret can be complicated. If your soulmate is close to both sides of their family, you'll want to ask both sides for their blessings -- which means trusting twice as many people with your surprise plans. Make sure each parent feels equally important in the process, and consider talking to both sides on the same day. 8. Make sure your schedules coincide. Unless you're on a vacation together, you'll need to learn every detail of your partner's schedule. A small glitch in the timing of your unexpected moment could quickly ruin all you've worked so hard to plan. So plan well in advance, plan carefully, and plan around your partner's time. 9. Dressing for the occasion. Don't cause the love of your life embarrassment by catching him or her off guard in clothing that's unfit for the proposal! Especially if friends, family and a photographer will be involved (see #10,) plan for a moment where you both will look marvelous. You don't have to be in formal attire, as long as you and your partner look fab! And if you can pick an outfit for yourself that will wonderfully complement what your love is wearing that day, all the better. 10. Selecting a photographer or videographer. Chances are, your partner is going to want photos or videos of the special moment you proposed. So don't forget to book a photographer! 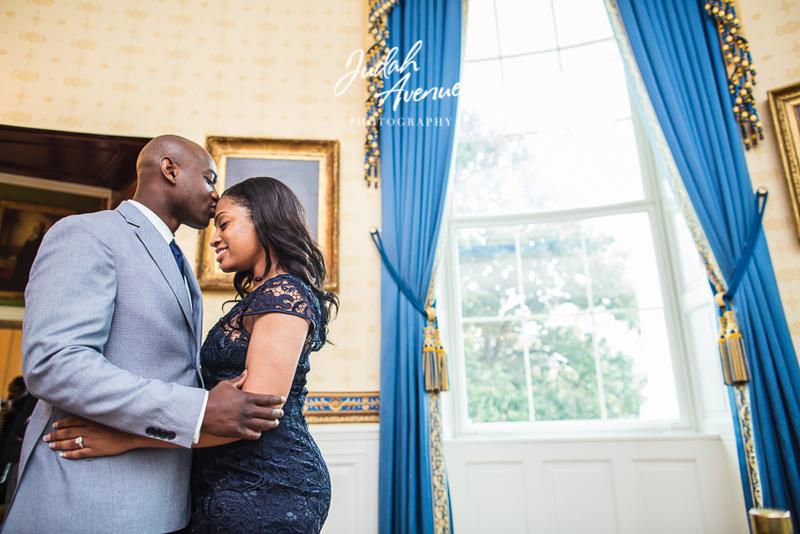 Judah Avenue photography is the wedding photographer in Washington DC, Virginia and Maryland who captured the white house proposal of Orlando and Shameeka that went viral. Choose one with experience in surprise proposals; a professional who understands the details of such an occasion. You'll want a photographer who knows exactly how to collaborate with you for such an event -- one who will be sure to gather enough information about exactly where and when you'll be proposing. They'll need to be inconspicuous as they capture the big moment, and they'll need to plan precisely where they'll "hide out" to ensure a clear camera shot of your partner's precious reaction! Just do your research, and don't forget to ask for portfolio pictures of any photographer you interview. 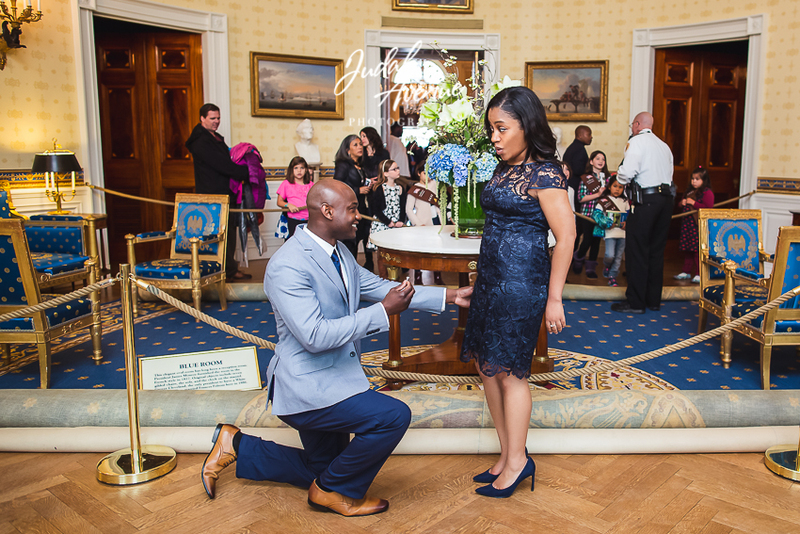 A well-planned surprise proposal can be exciting, intriguing, and totally legendary. Proposals like Orlando's come along once in a lifetime, so remember to relish every minute of it, even the ones leading up to the ultimate moment! We are rooting for you! So plan creatively, be careful to keep everything secret, and have fun. Lastly, don't forget the photos! This will be a moment to be shared for many generations to come.